Gaius Claudius Glaber is one of my favorite characters in Spartacus. Craig Parker is an amazing actor from New Zealand who can be seen in many TV shows as a twisted wicked bad guy. He loves such roles and I love seeing him as an antagonist. With the same attention drawing acting Craig Parker played Darken Rahl in Legend of the Seeker and Lord Narcisse in Reign. Due to the untimely death of the lead actor Andy Whitfield, Spartacus was portrayed by Liam McIntyre. This is really sad because it reduced the effect of two opponents meeting face to face after so many losses and heartaches endured. The great build-up that the first season offered for Spartacus viewers felt partly wasted because of this unfortunate event. 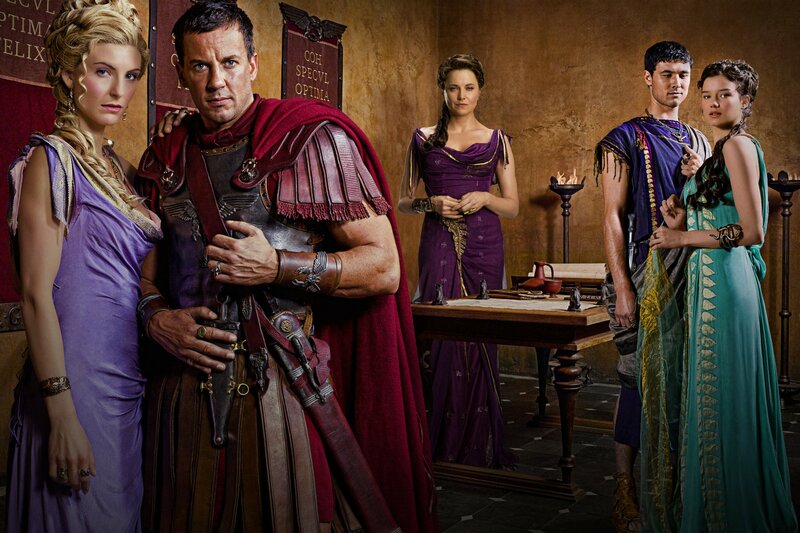 In the opener, Spartacus begins to understand the importance and overwhelming responsibilities of his task, while Gaius Claudius Glaber (Craig Parker), who was responsible for Spartacus’ enslavement, arrives in Capua, compounding the Thracian’s problems. To increase the size of his rebel force, Spartacus frees and then recruits fighters who were held as slaves during foreign wars. And at the same time, Glaber welcomes powerful new recruits to his army. Later, supply shortages and a superior Roman force threaten to halt the rebellion as Spartacus tries to rally his troops in the face of a final onslaught from Glaber’s fighting legions.